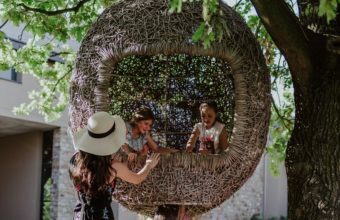 Although I’ve been blogging about all the child-friendly places in Stellenbosch I recently realized that finding venues to host a baby shower for someone can prove to be a difficult task. Not all venues are open to small functions like baby showers and being girls, we really like the venue to be cozy, intimate and beautiful.  I have started to compile a list of the best places in Stellenbosch to throw a baby shower for your friend/ sister or family member. Based on ambiance, decor, stunning views, space for small functions, great food and everything you wish to have at a baby shower, here is the list in alphabetical order. As always suggestions are welcomed as I’m hoping to update this list every now and again! 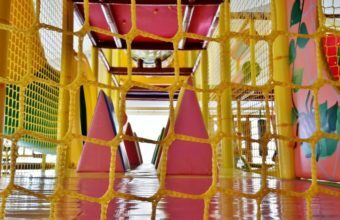 Some of these venues are child-friendly and others aren’t but this is the one time when you can enjoy a girls-get-together without kids. 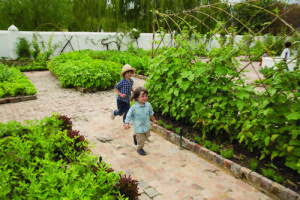 If you are looking for a child-friendly venue though, be sure to visit our Top Child-Friendly Venues in Stellenboch. Everything about Birdcage Coffee Shop is cute and pretty! They have the most beautiful cupcakes and other sweets. Follow the link above to their Facebook page for a preview of their delicious treats. This is a girly-girl place where girlfriends can hang out and have coffee or have a baby shower! One of the daintiest coffee shops in Stellenbosch. Café Blanc de Noir on the Brenaissance wine estate is another venue that welcomes mommies-to-be for a baby shower or other functions. Stunning deck on the river and fabulous atmosphere. 10 out of 10 for ambiance and setting for your precious day. Another little cute, retro coffee shop on Dorp street. Sit outside in the courtyard and enjoy each other’s company for a larger party or inside for a smaller get-together. 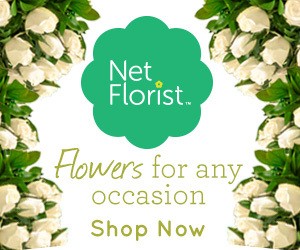 Click here to get a taste of what they offer. PS: I’m sad to report that Cupcake has closed down. For a similar experience try the courtyard at Lemon coffee shop on 47 Church street. Pretty and in the middle of town, just off Dorpstreet, De Oewer Riverside Food & Wine Garden looks exactly like the name says: a stunning little oasis under the trees on the banks of the Eerste River. Relax while lounging next to the river. Note that this is an outside venue with no covering for those rainy days. If it is raining, try the Volkskombuis which forms part of this venue. LekkeNeh is famous for their beautiful petit fours that are arranged in a glass display case in the reception area of the restaurant to whet one’s appetite as walk you into this lovely restaurant. 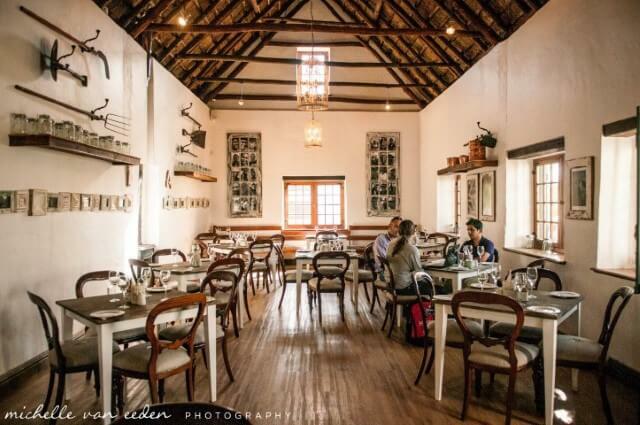 Situated right next to the Welgevonden Security Estate on the Weltevreden Estate LekkeNeh is one of the restaurants that form part of the Seascape Collection. The Collection includes other amazing venues in its repertoire like On The Rocks and Ons Huisie (both in Bloubergstrand). 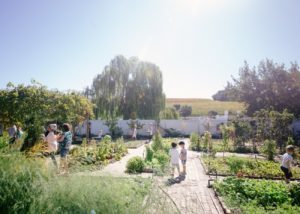 Although the estate is full of old world charm with Cape Dutch style buildings and a magnificent manor house the “look” inside the restaurant is quite young and contemporary. For a relaxed outside tea party there are some tables available under the trees right on the riverbank. Majeka House is a guesthouse situated in the Paradyskloof suburb in Stellenbosch. This is the place to go if what you’re looking for is major style and luxury. If you want to host a classy do and be treated like ladies for the morning organize a baby shower at this establishment. 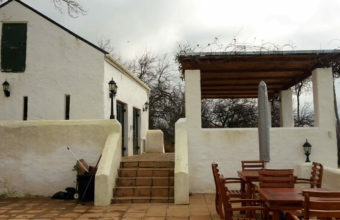 Olivello Restaurant on Marianne Wine Estate on the R44 to Klapmuts is a hidden gem in Stellenbosch for hosting parties and other functions. The restaurant’s cuisine is mediterranean but they are open to special requests. Depending on the size of the party you can book the entire venue or just part of it. I adore the deck with a view on the dam and think this is the perfect spot for a baby shower party… Visit their website to check out their pretty deck. One of the best views in Stellenbosch on the amazing dam with Jonkershoek’s towering mountains in the background. 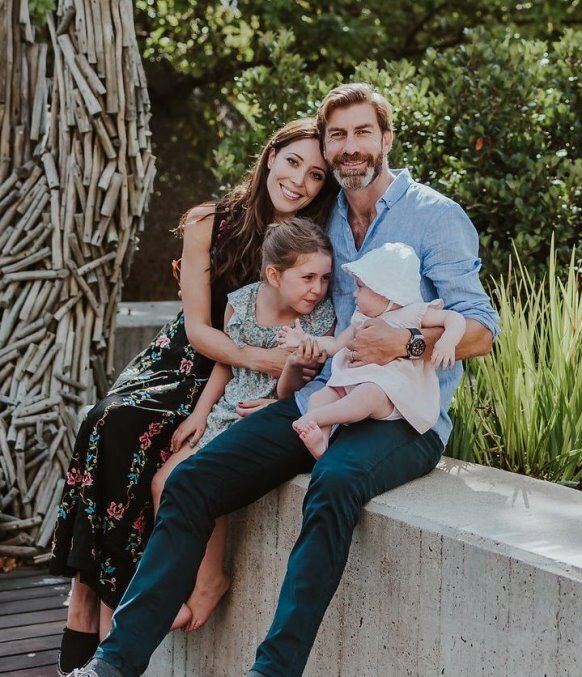 Even if you do not have your baby shower/ other small function here, just go and have coffee at the coffee shop or do a wine tasting at the tasting room (which is on an island in the middle of the dam!) to take in the breathtaking view. 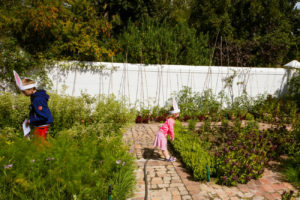 Gorgeous gardens and a pond can be found at Hudson’s at Vredenheim Wines. Sit outside in the garden on a sunny day or inside next to the fireplace on a freezing day. Their website is a bit hard to navigate and find the information you’re looking for but try looking under “restaurant” and then “latest menu”. The site also makes it seem like a wedding venue only but go take a look and you will be surprised how well the venue can work for smaller functions like baby showers. Open for booked picnics as well which can make for a stunning baby shower in the garden between the roses. NB: UPDATE July 2017: Lemon Coffee shop has since closed. Olivello has also closed but Marianne Wine Estate now boasts a new venue Floreal Brasserie in the same spot where Olivello used to be. Majeka House told one of the readers that they no longer hosts baby showers. See comments below. Ek is mal oor die nuwe voorkoms van die blog!! 10 uit 10! Hi there! I am sorry to hear that. Thank you for notifying me. At the time that this post was written I had a friend who had her baby shower at Majeka House. I don’t know if they changed their policy in the meantime?? I appreciate your comment. Did you eventually win with finding a venue? I am struggling as most of these places are either over priced or no longer want to host babyshowers. Hi! This article was written in 2013. You can also check our 2015 article here. Le Pommier – especially good if the weather is nice and you can sit outside. Any venues that you can add to the list for baby showers in colder weather that’s child friendly?